Two former employees of New Canaan Public Schools were arrested and charged with first-degree larceny and defrauding a public community over the weekend after a lengthy investigation following a complaint filed by the New Canaan Board of Education, according to a statement released on Monday by New Canaan Police Chief Leon Krolikowski. The investigation determined that over a five-year period, $478,588 in cash was allegedly misappropriated by the suspects from the Saxe Middle School and New Canaan High School cafeterias. According to Krolikowski, the suspects are Marie Wilson, 67, of Wilton, and her sister Joanne Pascarelli, 61, of Stratford. Wilson previously served as the assistant food director of New Canaan High School until she was placed on leave in November 2017, while Pascarelli was in charge of the food program at Saxe Middle School until September 2017. Both were the subjects of an internal investigation that was being conducted at the time by the Board of Education. Following interviews with Board of Education members, examinations of financial records and other pertinent evidence, and consulting with Stamford State’s Attorney Richard Colangelo, New Canaan Police obtained warrants for Wilson and Pascarelli’s arrests. Wilson surrendered herself to the the police department on Aug. 11 and was released on a $50,000 bond. 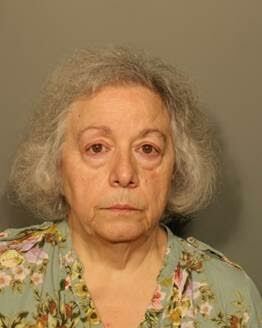 She is scheduled to appear Aug. 21 in state Superior Court in Norwalk. Pascarelli surrendered the following day and was released on a $50,000 bond. 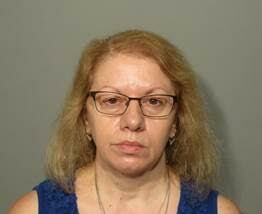 She is scheduled to appear in court on Aug. 24. The thefts were allegedly taking place over the last 15 years, according to police, but the investigation only focused on the past five years. Superintendent of Schools Bryan Luzzi released a letter to families Monday afternoon in response to the arrests. “We are deeply upset by this alleged violation of our trust and the trust of the entire community, and are committed to continuing our full cooperation with the New Canaan Police Department regarding these allegations,” he wrote. Mark Sherman, Wilson’s Stamford-based criminal defense lawyer, also released a statement stating that the accusations are “false and misleading” and confirmed that Wilson will be pleading not guilty at her arraignment. Almost $500k over 5 years? On a 180 day school year, that’s about $555 per day. How could this go unnoticed? At a price of $5 per lunch that’s ~100 lunches. I thought most students paid electronically, so how much cash was actually being collected daily? Was there no inventory or controls in place? I hope we get some of these funds back, but I’m doubtful. Looking on the bright side, they’re 100% good for the bail money. And it would be a nice gesture on their part to pay for Mead Park barn renovations.